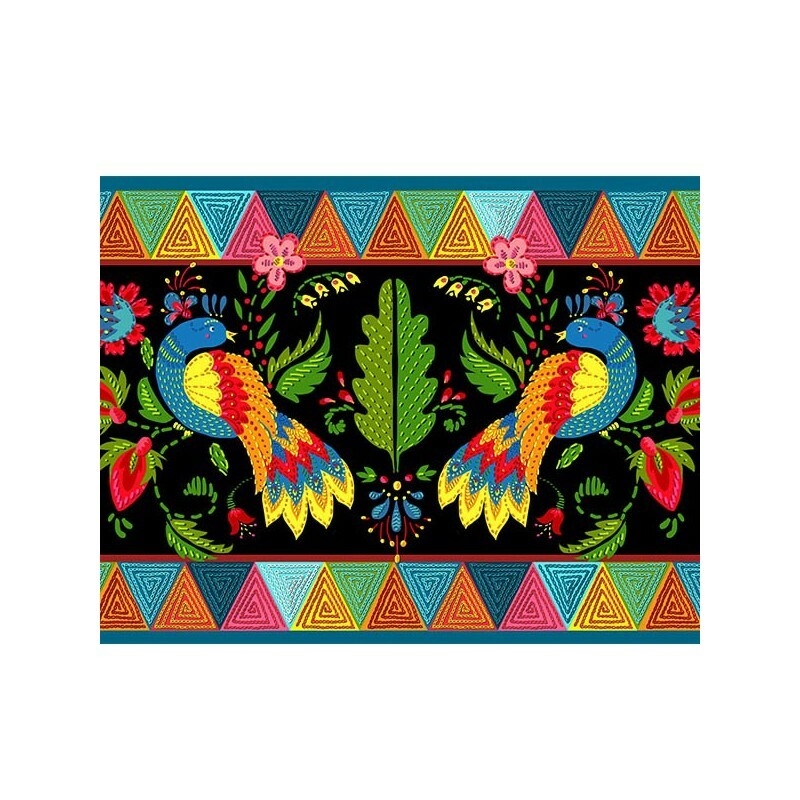 This design with birds and flowers is inspired by folklore and give the impression of having been embroidered on the velvet. 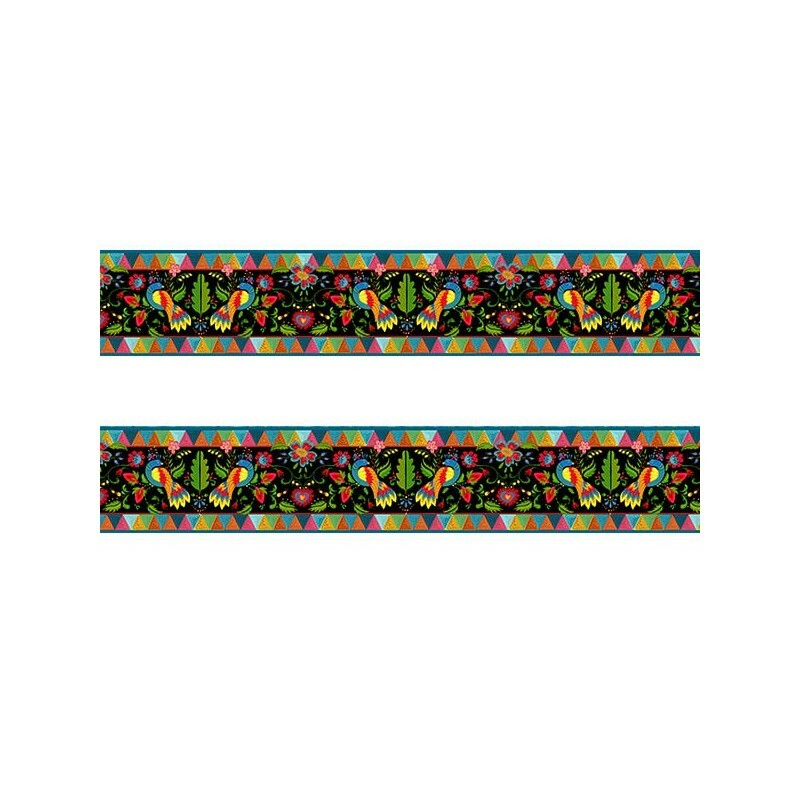 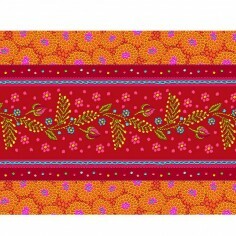 The symmetric composition along with the geometric edging gives a decorative aspect to this border. 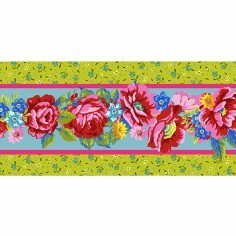 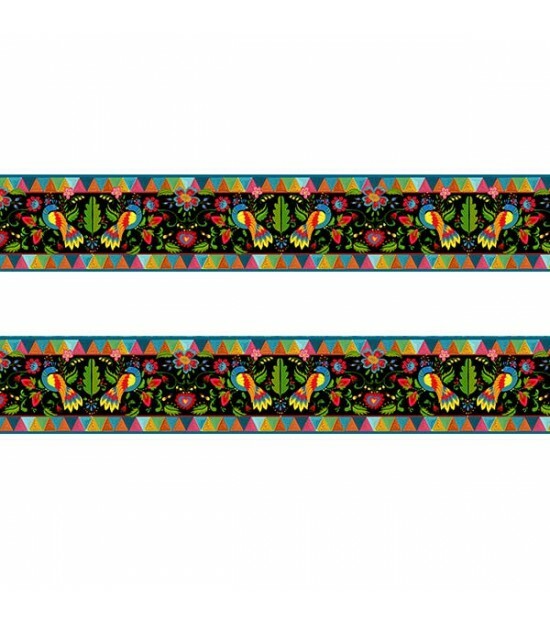 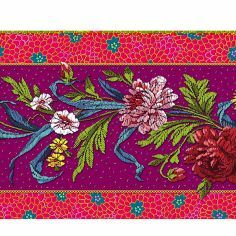 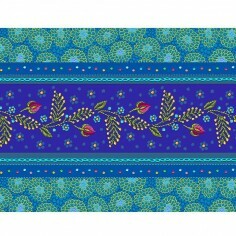 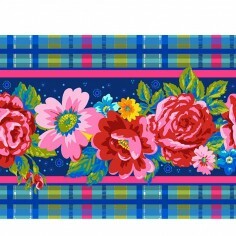 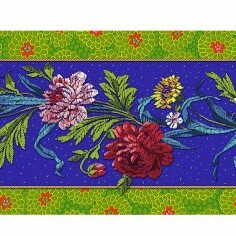 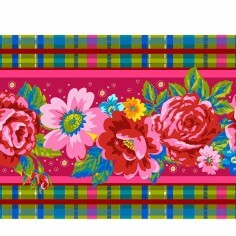 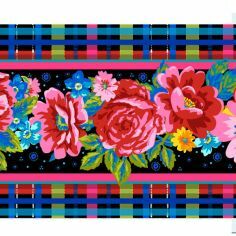 Size : 6.5cm x 1m minimum, orders of more than one metre are delivered in one length.